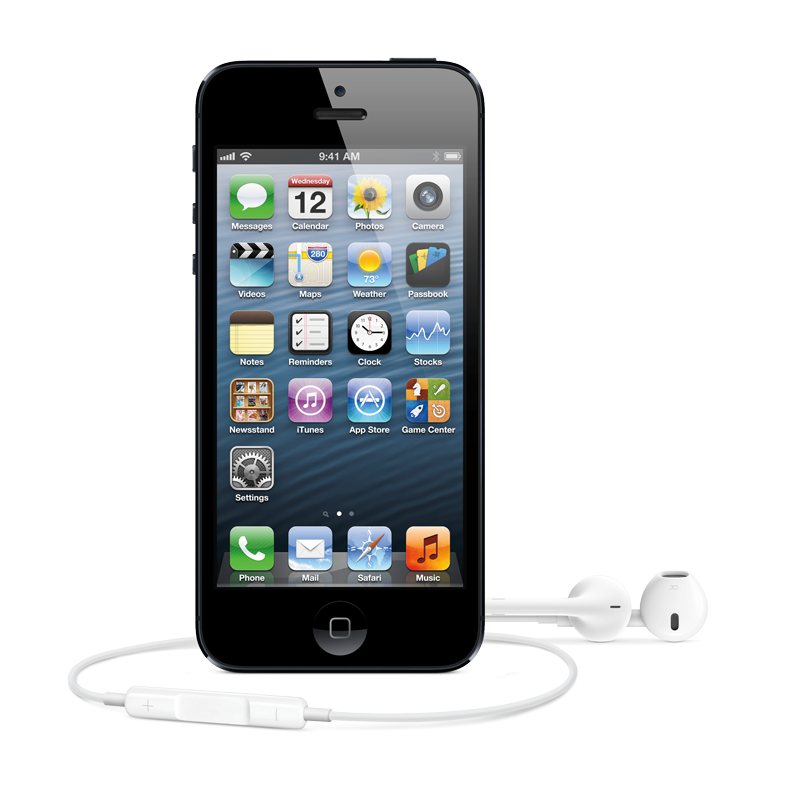 When Apple, Verizon, AT&T and Sprint opened up pre-orders for the iPhone 5 at 12:01 a.m. on Friday, a number of buyers reported issues in completing their transactions while others got through the process quickly and smoothly. Announced two days ago at a special event in San Francsico, the iPhone 5 boasts a redesigned chassis, larger 4-inch screen and a number of performance and aesthetic enhancements. 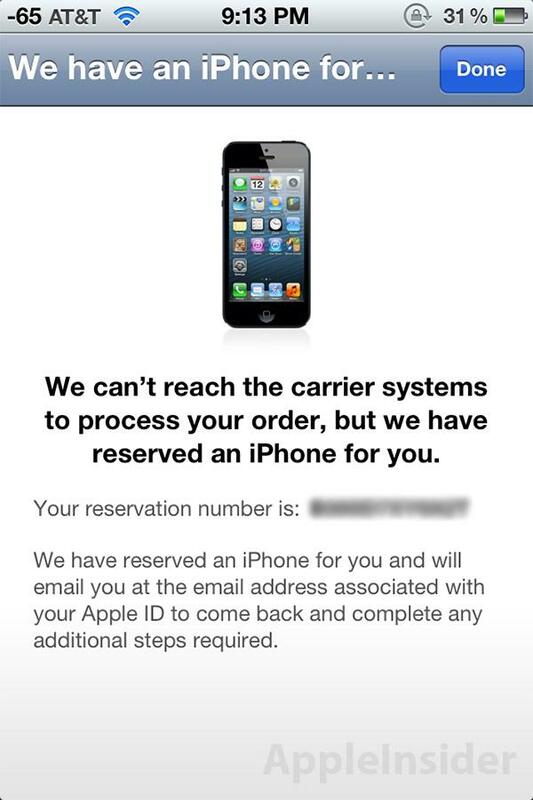 While many customers were led through a quick and easy ordering process, some saw delays and error messages as an expectedly high amount of traffic took its toll on the iPhone 5 pre-order system. As of this writing, Apple's own online store was experiencing sporadic issues, and was taken down temporarily shortly after opening its virtual doors at the assigned 12:01 a.m. start time. A number of reports from AppleInsider readers noted that, while the online Apple Store was down for those using web browsers, the dedicated iOS app was still processing purchases. As seen in the screenshot below, it appears that Apple was prepared to handle the onslaught of early adopters and instituted a system which reserves an iPhone 5 in case a wireless carrier's servers are unreachable. Those looking to buy the AT&T version of the iPhone 5 met the most trouble when pre-ordering, with the carrier's site exhibiting slowdowns that in turn affected Apple's own system. When ordering through Apple, customers having trouble had their chosen model put on reserve and were sent a confirmation email outlining the appropriate steps needed to complete the transaction. Why am I unable to complete my order right now? We are currently unable to reach your carriers systems to process the information that you have provided. We will hold on to the information you have entered and use it to confirm phone pricing and eligibility for your account. 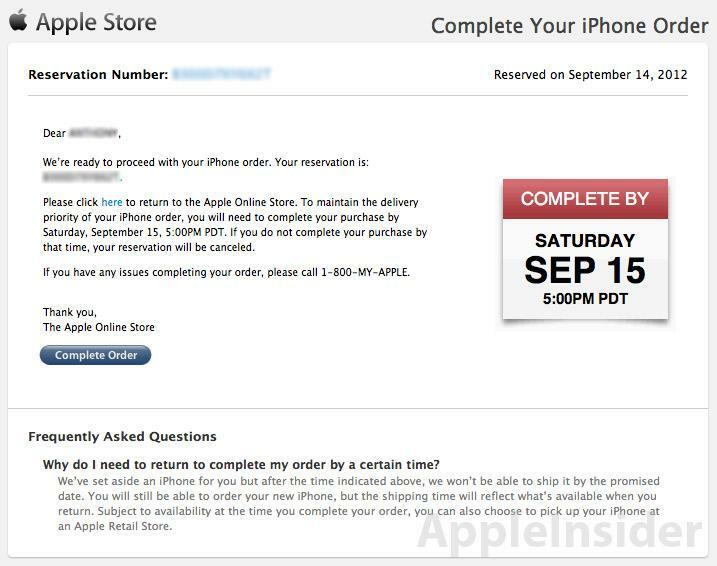 Following the email's link brings buyers to Apple's dedicated webpage for iPhone orders, which states that a second email will be sent when the carrier's systems can be reached. 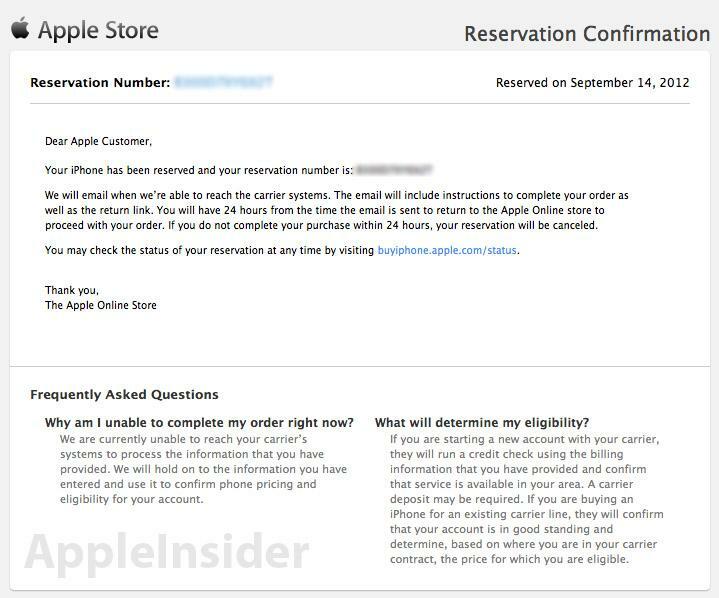 From there, customers have 24 hours to return to the Apple Online store to complete the transaction before the order is canceled. As for the other major U.S. carriers, Verizon's website was reportedly the easiest to deal with, as buyers reported little to no problems using the company's online store. Sprint, however, saw major slowdowns during the first hour of availability, with some orders ending up in error messages, though the operator's site is now stable. Unfortunately for those who had issues placing their order, the final ship time appears to depend on the most current shipping estimates at the time of the transaction's completion, contrary to the confirmation email's language. The Apple Store is now quoting shipment times of two weeks. In comparison, last year's iPhone 4S launch took 24 hours to see shipping times pushed back to two weeks.